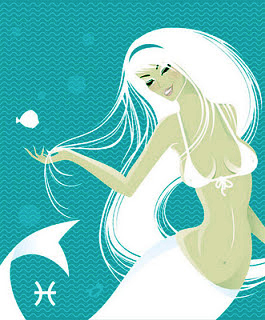 If Pisces have one outstanding quality it is their belief in the invisible, spiritual and psychic side of things. This side of things is as real to them as the hard earth beneath their feet – so real, in fact, that they will often ignore the visible, tangible aspects of reality in order to focus on the invisible and so-called intangible ones. Of all the signs of the zodiac, the intuitive and emotional faculties of the Pisces are the most highly developed. They are committed to living by their intuition and this can at times be infuriating to other people – especially those who are materially, scientifically or technically orientated. If you think that money or status or worldly success are the only goals in life, then you will never understand a Pisces. Pisces basically want and aspire to be ‘saints’. They do so in their own way and according to their own rules. Others should not try to impose their concept of saintliness on a Pisces, because he or she always tries to find it for him-or herself.